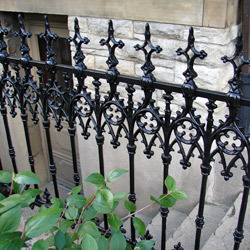 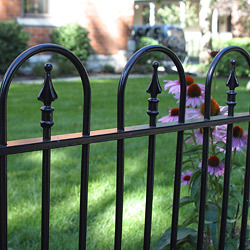 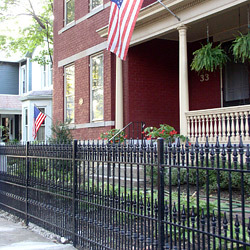 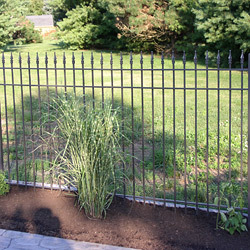 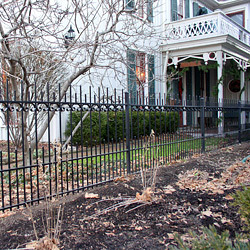 OUR FENCE DESIGNS range from historic to more modern and provide the distinct look and feel of real iron craftsmanship that prefabricated products cannot imitate. 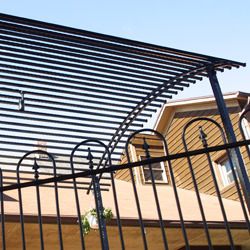 We can offer suggestions to seamlessly blend with existing historical work, provide contemporary style that adds a finishing touch to pool and patio areas, or define and secure your property. 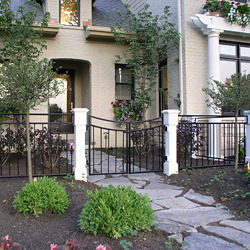 We can incorporate added touches, including custom limestone pillars or cast iron Victorian posts. 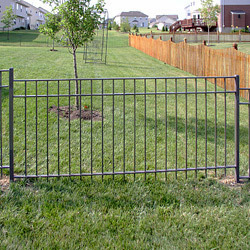 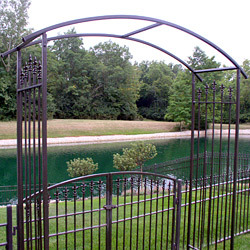 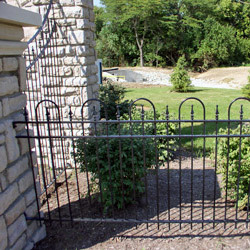 Durable powder coat finishes in many colors will compliment your landscape and provide years of durability.